We love this classic navy cardi with a fresh spring twist! 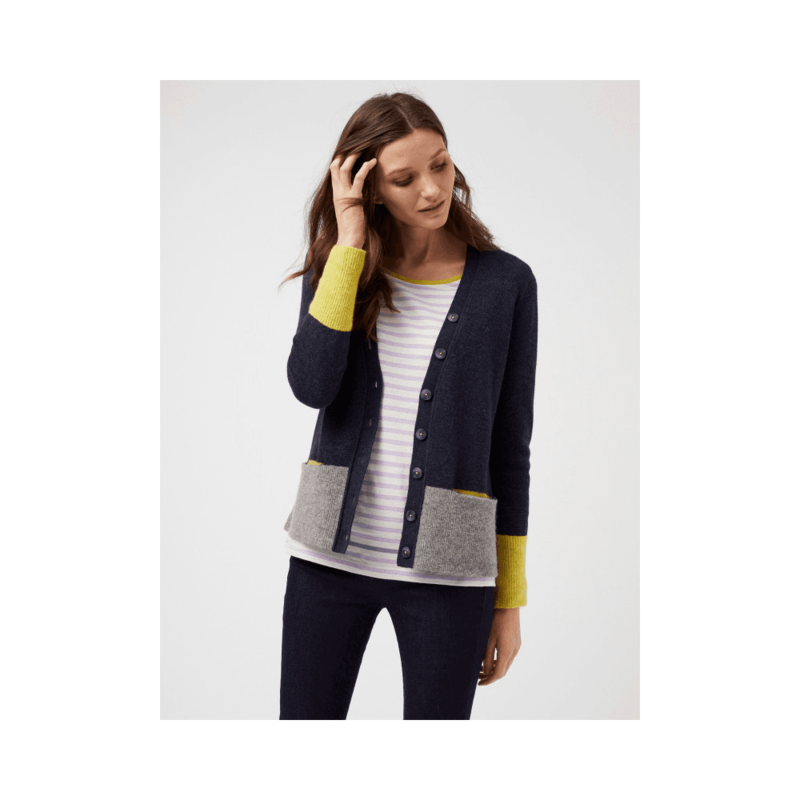 Crafted from a soft mixed yarn, this V-neck cardigan features a deep ribbed hem and cuffs, 2 handy front pockets and a vibrant dose of colour on the sleeves. Perfect to add stylish detail to any outfit!